This year’s Easter Holidays in Hong Kong fall from April 19th – 22nd. Our final delivery date will be April 18th and we will resume our regular delivery on April 23rd. During the holidays our online customer service will only provide limited services, thank you for your patience and understanding. 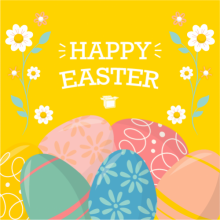 The Easter Holidays in the US, England, Australia, and Hong Kong fall on April 19th – 22nd. Our warehouses in the US, UK, AUS & HK will be closed during the holidays. The final delivery date from our HK warehouse during this period will be from April 18th and our service will proceed again on April 23rd. During the holidays our online customer service will only provide limited services, we appreciate your patience and understanding. Buyandship Redemption Center Break eLink Locker Break Quality Laundry Usual opening times SF Stations Usual opening times OK Convenience Store Usual opening times Alfred Smart..
Any Buyandship exports and re-exports are subject to US export controls, which are governed by the Bureau of Industry and Security (BIS) under the US Export Administration Regulations (EAR). Export means an actual shipment or delivery of goods subject to EAR control that is shipped outside of the United States. Re-export means goods that are actually shipped or transferred from the United States to another country and are also subject to EAR controls. Exports or re-exports of goods subject to the EAR are considered to be exported to new countries by either – re-exporting from one or more countries, – by trans-shipment to a new country by one or more countries, – or by re-exporting to a new country. We provide this information to members for reference only and the accuracy is not guaranteed. BIS requires that every export item or product must comply with the EAR, and the Buyandship.. Happy With Our Service? Refer A Friend & Get 30 Credit Points Each! 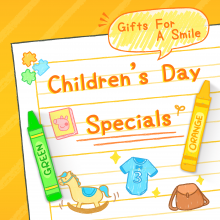 Children’s Day 2019 | Shopping Guide! It’s almost Children’s Day! The 4th of April is dedicated to the little ones around us. Stop the hard work for this special day and give back to the children around you. Every day with them is a blessing. We hope that the kids will grow up healthily and happily, and Buyandship wants to celebrate Children’s Day with you! We created a shopping guide for Children’s Day; no matter if the little ones are 3 years old, or 20 years old, there will be something suitable for all of them! And of course, even as an adult, you can receive gifts! Treat the children around you and treat yourself on this special day, and experience the happiness of being a child again! Show All Age 0 – 3 Age 4 – 7 Age 8 – 13 Age 14 – 18 Age 19 & older Age 0 – 3 ► UK..
Presidents’ Day Shopping Guide – Grab Hot Deals Now! 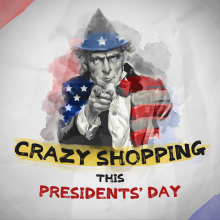 Presidents’ Day Sales is happening at most of the US e-tailers! Discover President’s Day deals and shop a wide variety of popular items online now! Please Select Product Category： Fashion Footwear Kidswear/Babycare Outdoor Products Food Personal Care Others/Electronics Department Store Brand Discount Website Ralph Lauren ENJOY AN EXTRA 40% OFF SELECT SALE STYLES Click Here SuperDry 50% OFF SELECTED PRODUCT Click Here Kate Spade Extra 30% OFF on Selected Items (CODE: MORELOVE) Click Here GAP 40% OFF EVERYTHING (CODE: GREAT), EXTRA 10% OFF EVERYTHING (CODE: BOOST) Click Here GAP FACTORY 40-60% OFF EVERYTHING, EXTRA 20% OFF (CODE: LAYERITON) Click Here 6pm Up To 70% OFF Click Here Tory Burch Up To 40% OFF Click Here J.Crew Factory 60% OFF on everything Click Here Old Navy Up TO 50% OFF on everything Click Here Banana Republic 40% OFF (ALMOST) EVERYTHING Click Here 2XU EXTRA 20% OFF on Sale Items (CODE: PREZ).. 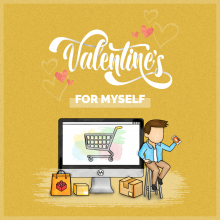 Whether you have a Valentine’s date or not, now is the perfect time to treat yourself! The online shops are offering great Valentine’s Day Sales and you will not miss out with our discount guide below! Please select product category: Fashion Footwear Kidswear/Babycare Outdoor products Food Personal Care Others/Electronics Department Store Brand Discount Link To Shop Ralph Lauren ENJOY AN EXTRA 40% OFF SELECT SALE STYLES Click Here SuperDry Up To 50% OFF Click Here Kate Spade 30％ OFF on Selected Items Click Here GAP Up To 50% OFF Click Here 6pm EXTRA 25% OFF Click Here Tory Burch Up To 40% OFF Click Here Ted Baker 30% OFF Click Here Alpha Industries Selected Items Up To 50% OFF Click Here J.Crew Factory Up To 60% OFF Click Here Old Navy Entire Site Up To 50% OFF Click Here Banana Republic Extra 40% OFF (NO CODE NEEDED) Click Here 2XU..
Buyandship Chrome Extension Make Finding Deals Easy! Buyandship is always looking for ways for you to be a smarter shopper, and we trust that the latest addition to our repertoire will spark joy to you and your bank balance! Did you know that Buyandship has an extension that you can add to your Chrome browser, so that everytime you shop, you’ll be able to check the prices of the same item on other shopping sites! Not too sure how it works? Watch the video above, or check out our step by step guide below : 1. Open this link, that will guide you straight to our extension, like the photo below : * if that doesn’t work, go to the main page of Chrome Extension here and type in “Buyandship” in the search box (like in the picture below) 2. Click on the “Add to Chrome Button”, which will lead you to the page of our Chrome.. 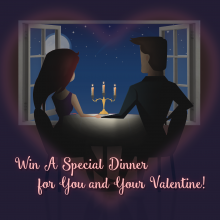 Win A Special Dinner for You and Your Valentine! Valentine’s Day is only once a year, so how can you make it as special as possible? Follow just 3 steps to get the chance to win a Hotel Buffet Dinner Voucher worth HK$1,645.6 For Two! 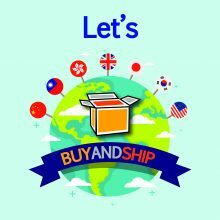 As long as you are a registered Buyandship member, you can participate! Complete the following 3 steps between now and Feburary 3rd in order to win this special Valentine’s Date for you and your partner! Not a Buyandship member yet? Register now to participate：http://bit.ly/2S1qCni Follow These Easy Steps Like our specific Valentine’s Day Facebook post You must be registered as a Buyandship member Share our specific Valentine’s Day Facebook Post (that we will release on our FB page) Status of this post must be changed to “Public”. Express deep feelings Tag your partner on this personal post, express your love and add the Hashtag #情深說話未曾講 Campaign Details： Winners：3（Each of those wins a Hotel Buffet..
Dear Buyandship members, Lunar New Year is around the corner and many businesses throughout Asia have special opening and closing times during that period. 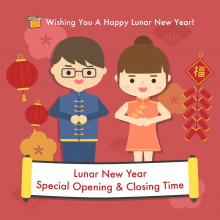 Below we have listed our closing and re-opening times after the lunar new year holidays. Our US and UK warehouses are not affected by the holidays and will operate as usual. The Hong Kong Warehouse closes on February 4th at 5 pm and stays closed from February 5th – 7th. And will be returning back to service on the 8th of February. 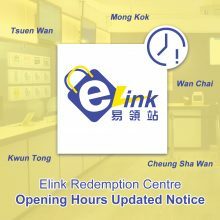 Our Hong Kong Buyandship Redemption Center also closes on February 4th at 5 pm and stays closed from 5th – 7th February. And will re-open on the 8th of February. The Taiwan Warehouse will be closed from the 2nd – 10th of February. And will resume operation on 11th of February. The Japan Warehouse will be closed from the 4th – 6th. And will..